Last week I posted that we are switching to 12oz bags and why we have made this decision. Well, the new bags have arrived and this week we put them into production. What I didn't say last week is that the new bags are the first real step in the fulfillment of a mission that I have to honor the memory of my sister Sharon, who we recently lost in a car accident and who I love so dearly. Though Sharon was my little sister, she was truly my hero! I looked up to her for her faith, her courage and her love for others! She was a breast cancer survivor. No, she was a breast cancer thriver! She literally gave thanks and praise to God for her cancer from the very beginning. Even when she was sick from the chemo and her hair was falling out from radiation treatments, she knew that this was her story and that God would use it for good. And He has! Sharon had a huge heart to help other women who face the fight of their lives to beat breast cancer. She cared deeply for helping women to go into their first treatment armed with knowledge of what was coming and how to face it head on. Not only without fear but with the knowledge of women who have walked that path before them. She said that she was fully knowledgable about how to handle her treatments... by her final treatment session! She also said that it be awesome if a woman could walk into her FIRST treatment armed with that kind of knowledge. So she, along with her friend and fellow breast cancer survivor, Lucy Gross, wrote a book to do just that. Their book, My Chemo Cocktail & Me is really more of a guide to help arm women with the knowledge they need to face their cancer without fear, with knowledge and hope! And, along with their book they developed a backpack which is chocked full of the items a woman needs going into their first treatment. It's called "Got Your BackPax". To date, hundreds of women have been blessed to receive these backpax. As important as the book and BackPax are, they are only a portion of why I love and respect my sister (and her husband Tracy) so much. From being deeply involved in their community and church, to raising four kids, all of whom are adopted... to Sharon's unbelievable ability to be that one go-to friend for literally hundreds of people. As my wife, Angela, said of Sharon... Her gift was love! She loved so many people, and was considered by many, many people to be their rock, their counselor, and the person who they always knew they could count on for solid advice. Though she lived in a small town in south Georgia, she touched literally hundreds of people's lives as was evident in the funeral procession for her which ran over two miles long. And OMG she could make me laugh! If you ever meet me ask me about mine and Sharon's conversation about Barbie turning 50! I know what you're thinking by now... That's all well and good, but what does it have to do with coffee? Well, I'll tell you. When I was just setting up my coffee company I made a decision that I wanted to help fund Sharon's Got Your BackPax and book program. I was planning on doing this by using inexpensive bags and applying the savings of not going with more expensive "fancy" bags to a fund for My Chemo Cocktail & Me. I made this decision while sitting in my car in a Publix parking lot, telling my grandson about all that Sharon had gone through and what she was doing to help women who are fighting breast cancer... then and there is when it hit me that we could help Sharon and Lucy with the savings we would have by utilizing less expensive bags. That was about one week before she was taken from us in the accident. I never got to tell her of my plans though. Now we will do this in honor of her memory! With these new bags we are able to put this plan... which is now our mission too... into action. By finding the right supplier and buying the bags in bulk we are able to save a little bit on each bag to make a big, collective, difference in the coming years! So now... with each purchase our customers make, we will apply a portion of the sale to Sharon's Fund. The money we raise will be donated to the My Chemo Cocktail & Me book and the Got Your BackPax care pack program. With each purchase our customers will be contributing to positively impacting women's lives through Sharon's mission. 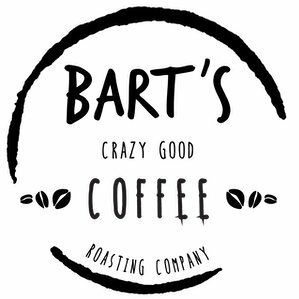 This is, and always will be a major focus for us at Bart's Crazy Good Coffee! The name of our company, by the way... was chosen by Sharon. She encouraged me in all that I have ever attempted to do, especially starting this coffee business. She was, in fact, our first customer. Sharon bought our first few bags of coffee for herself (she LOVED OMG) and for gifts for some of her close friends. True story! Sharon was there to start this business and we will always, always be there to support her mission! This is a beautiful story and tribute to Sharon, who was so beautiful in her love for all she met! Hil Cooler told me about your coffee and I am definitely going to order some. Thank you for sharing this story! I absolutely love this tribute to your amazing and beautiful sister! I have also been loving my first bag of OMG coffee and will definitely be purchasing more. It’s a win-win-win. I get exceptional coffee, get to honor the memory of a precious friend, and get to give to a great cause.